"Top sights in under a day"
So what's so great about Mexico vacations? 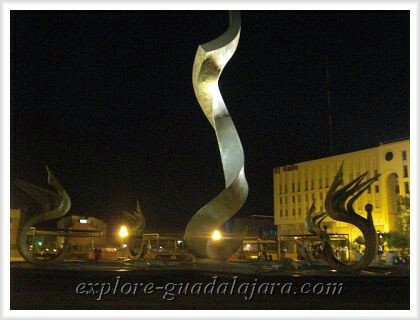 When you're looking for cheap holidays to Mexico.. specifically Guadalajara, Mexico (often misspelled as Guadalahara) you're in for such an adventure packed with culture, history, delicious mouthwatering foods and lots of fun. 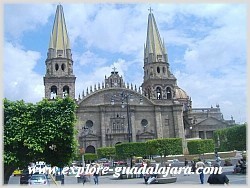 Read more about Guadalajara culture and explore the traditions of the city! You'll have so much fun in Mexico, in fact.. you'll feel your stress melt away faster than you can say Tequila! Speaking of.. learn how to make one of Mexico's favorite Tequila drink mixes here. I often receive a lot of emails from people asking what to do in Guadalajara if they will only be there for a day because they're just passing through. First off.. Guadalajara, Mexico vacations are amazing and you really need to make it a priority to visit for more than just a day because a day just isn't enough time to soak in all the sights. There are way too many! Three days at the very least is what you need to see why it is one of the best vacation spots in Mexico. But if you really are just "passing through," here are some of the top things I would do if I was only going to be spending a day in Guadalajara, Mexico to make it memorable. 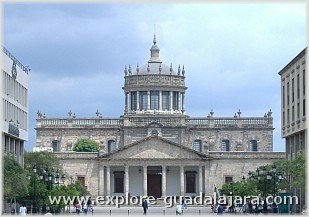 A day in Guadalajara, Mexico -"Top must dos"
Since you'll be very limited on time I'd suggest to stick to one major area to view some of the most impressive sights. So let's stick with the downtown area and Tapatia Plaza or as they call it Centro Historico y Plaza Tapatia. Today we'll cover: Cabanas Cultural Institute, Degollado Theatre, the Guadalajara Cathedral, The Rotunda of Illustrious Men/Women and lastly the Bethlehem Cemetery. You'll also pass other interesting sights along the way. You'll want to spend about 30 minutes to an hour for each one and of course some will take longer than others. 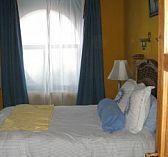 You'll need at least 1 hour for the Cabañas Cultural Institute as well as the Bethlehem Cemetery. Since all the sights here are very close together, I've laid it out as a walking tour down Plaza Tapatia, so be sure to take some very comfortable walking shoes. The walk will probably take about 15 -30 minutes, depending on your pace because you'll probably want to stop and look at other things that catch your eye. This also gives you a great chance to people watch and buy some trinkets along the way. Hospicio Cabañas used to be an orphanage and is home to some exquisite murals by the famous Mexican muralist Jose Clemente Orozco. Of all the Guadalajara, Mexico Vacations I've taken, none would be complete without a visit to see these beautiful murals. These Mexican murals are absolutely breathtaking and this is why this is the first stop. You can spend about an hour to an hour and half taking in the murals and walking around. Read more about the Cultural Institute here, also known as Hospicio Cabañas. You'll exit Hospicio Cabanas and just walk towards the long fountain. Sometimes it's empty, but you'll notice the long stretch of Plaza Tapatia before you. When you exit Hospicio Cabanas on your left side there are always vendors selling crafts and other souvenirs. Keep walking straight down the Plaza. You'll see this large sculpture which you won't miss.. because it is so large! 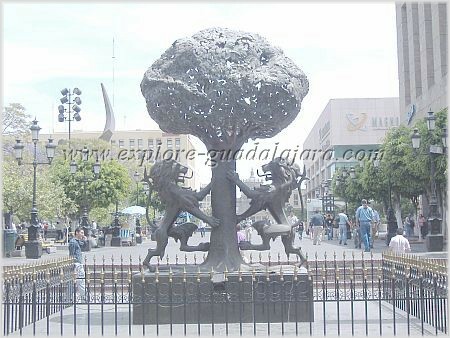 This is the Coat of Arms of Guadalajara in Plaza Tapatia and you're about halfway there! I'm ashamed to say that I've never been inside! But it is very lovely to look at and you should walk in to take a peek. There's a nice little cafe next to it (actually in the building). You can stop in for a beverage and rest a bit while you watch the calandrias (horse drawn carriages) pass by. This is where the Jalisco Orchestra plays and I believe the University of Guadalajara Ballet Folklorico dancers used to perform there on Sundays. More on this later..
From the Teatro Degollado you'll see the back of the Guadalajara Cathedral. You'll just cross Plaza de la Liberación, Liberation Plaza and walk to the front to soak in the beautiful Guadalajara cathedral. Read more about the Guadalajara Cathedral here. Here you'll see the Rotunda of Illustrious Men and Women of Jalisco Rotonda de los Hombres Ilustres. There are benches there to sit and relax for a spell. Av 16 de Septiembre, Between Hidalgo and Independencia St.
Panteon de Belen - Another favorite! For the last stop on your one day Guadalajara, Mexico vacations tour you'll catch a cab to El Panteon de Belen, Bethlehem Cemetery. This cemetery is absolutely beautiful and residents of Guadalajara think it's haunted! They even have guided night tours. Take a peek at the Panteon de Belen. Enjoy the day, take in the sights and come back for more family vacations in Mexico.. You'll soon remember your Guadalajara, Mexico vacations as some of the best you've ever had!